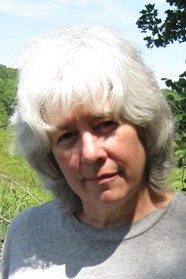 Joanne Bertin was born in Manhattan. 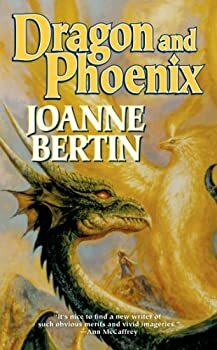 Bertin had been writing stories set in the Dragonlord universe for over twenty years since she came up with the world in high school, which evolved from an art class picture whose characters stayed in her imagination. In addition to her writing, Bertin also holds a day job. She currently lives in Connecticut with her husband, Walter “Sam” Gailey, and an ever-changing number of ferrets fondly known as the Weasel Patrol. DragonLord — (1998-2012) Publisher: Dragonlord Linden Rathan, last-born of a race of immortal weredragons, has spent six hundred years alone, searching for his soultwin while his fellow Dragonlords watch over humanity’s Five Kingdoms. When the Queen of Cassori dies mysteriously, Linden and the other Dragonlords are called upon to prevent civil war as two human claimants vie for the regency.As the battle for Cassori rule escalates, Linden becomes the target of the Fellowship, a secret society of true-humans who could actually destroy his immortal life.Then he meets a beautiful young ship captain named Maurynna who may be the only one who can help Linden bring Cassori back from the brink of chaos. Joanne Bertin's Dragonlord plot has been rather weak overall. However, Dragon and Phoenix is a huge improvement on The Last DragonLord. The Dragonlords are no longer the sole concern and in fact, they are hardly mentioned for a good deal of the novel. They're much less overbearing this time around and while the whole "soultwin" bit is still silly, it isn't quite as absurd as it was throughout The Last DragonLord.